This item is currently backordered, when ordered, please allow 4-6 weeks for fabrication. 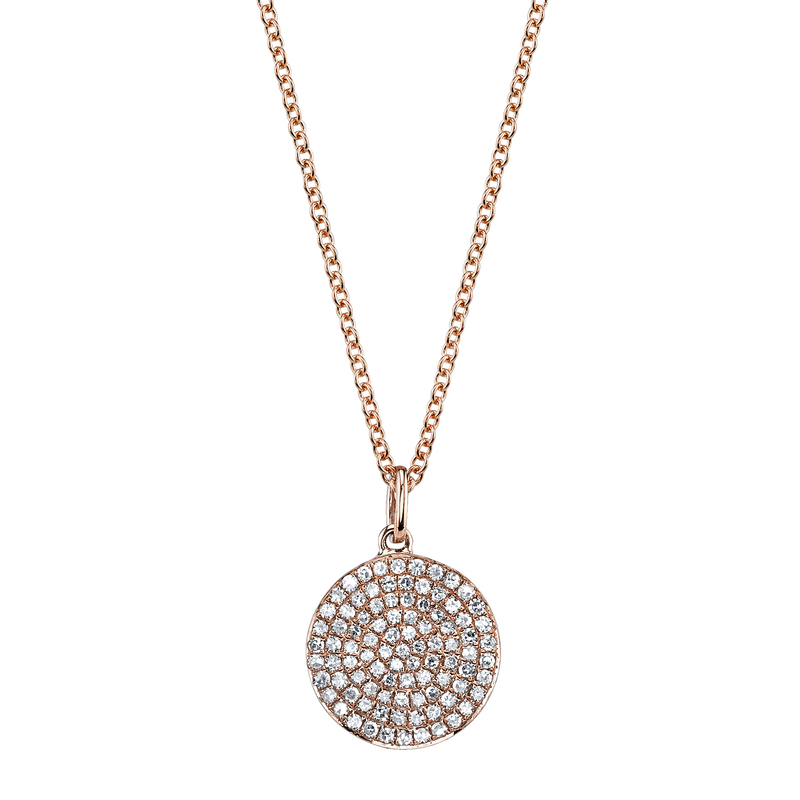 14k rose gold necklace featuring a round disc pendant micropave’ (accent aigu) with round brilliant-cut diamonds. Chain has multiple jump rings to clasp at 16, 17, and 18 inches in length.